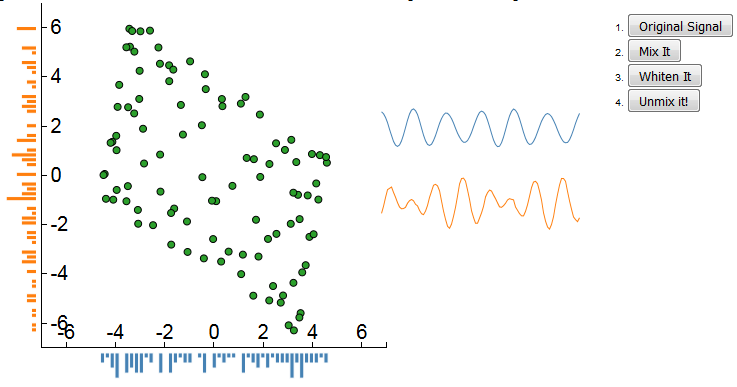 Some years ago, I wrote an interactive tutorial for ICA using D3.js and some java-script but never published it. Now I let it fly. I got inspired by this page from Arnould Delorme. If you find mistakes or problems please drop me an email.